It lets you indulge in the warm comfort of heat therapy to relieve muscle fatigue and improve blood circulation. Heat therapy also reduces lactic acids in your body to help make you feel recharged. 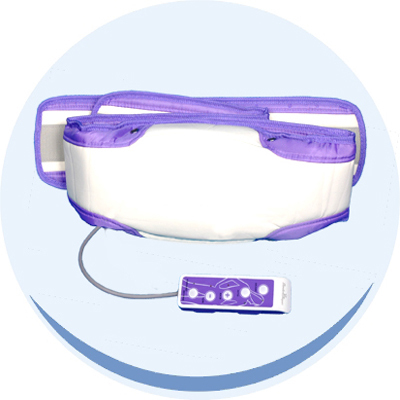 Shaping Massage Belt Imported ( oscillating belt ) - Gives you a relaxing and invigorating massage in the comfort of your home to relieve tension and reduces stress. Massage Belt stimulates blood circulation around the points of contact and is used by sportsmen to reduce muscle fatigue and lactic acid build-up. Massage belt gives you an invigorating massage unlike conventional devices that rely merely on vibration,Use it 10 to 20 minutes a day. Use it any way you want - on tummy, shoulder, thies, buts, lower brace. Also known as oscillating belt .